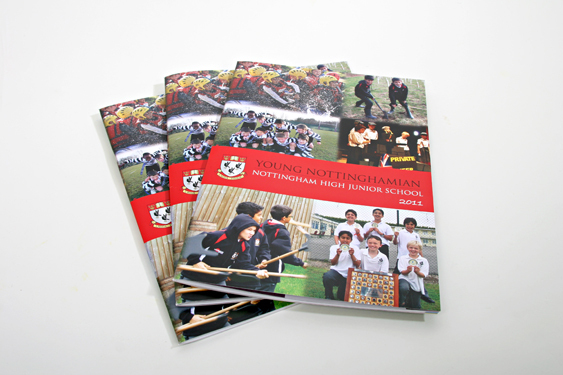 Graphic designers, Fifteen Design always like to deliver on time and when the Nottingham High School commissioned Fifteen to design the Junior School Yearbook, we knew that we had to get it right first time. The yearbook sums up the past years activities and achievements and is hugely popular with staff, students and parents so it was vital we did a good job and delivered the finish product in time for the end of term. Hopefully, this is just the first of many future yearbooks that Fifteen Design will be doing for the High School and lets hope we leave them happy every single year!